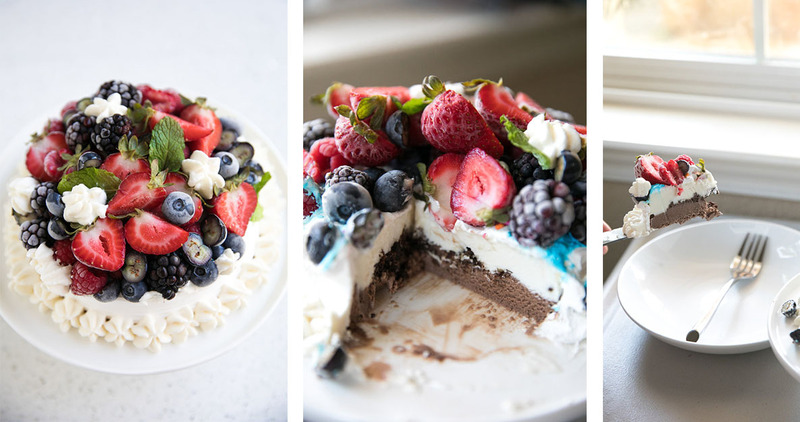 When summer is in full swing with pool parties, impromptu cookouts, and kids on summer break, ice cream cakes are the perfect go-to for summer entertaining. 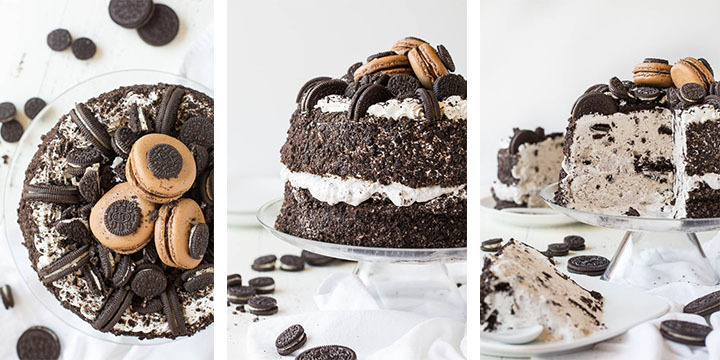 In honor of National Ice Cream Month this July, we teamed up with some of our favorite bloggers to get their best twist on ice cream cakes. From a DIY double-decker ice cream cake to homemade chocolate hazelnut hot fudge – here are a few ways to take your ice cream cake to the next level. 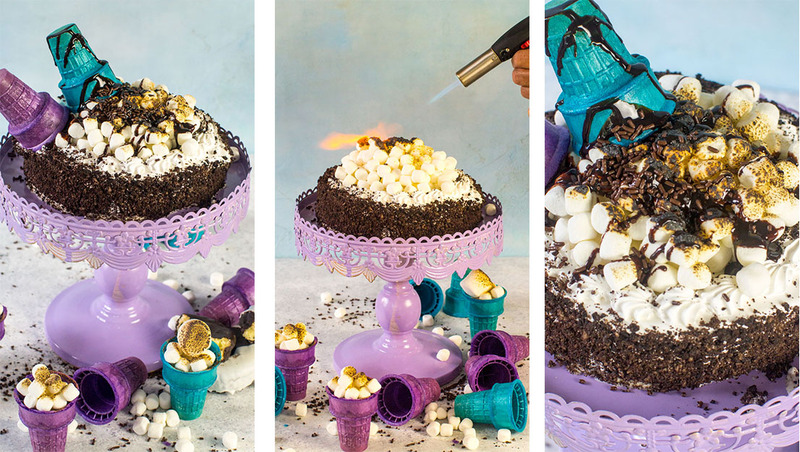 S’mores Ice Cream Cake – This easy, fun creation from Peas and Peonies brings the best of the campfire to your cake for a hit with kids and adults alike. Double OREO® Chocolate Ice Cream Cake – Two chocolate cakes between two OREO® Ice Cream Cakes then frosted and drizzled into a gorgeous double decker ice cream cake … need we say more? Chocolate Hazelnut Hot Fudge – Top your OREO® Ice Cream Cake with this easy homemade hot fudge sauce to serve and wow. 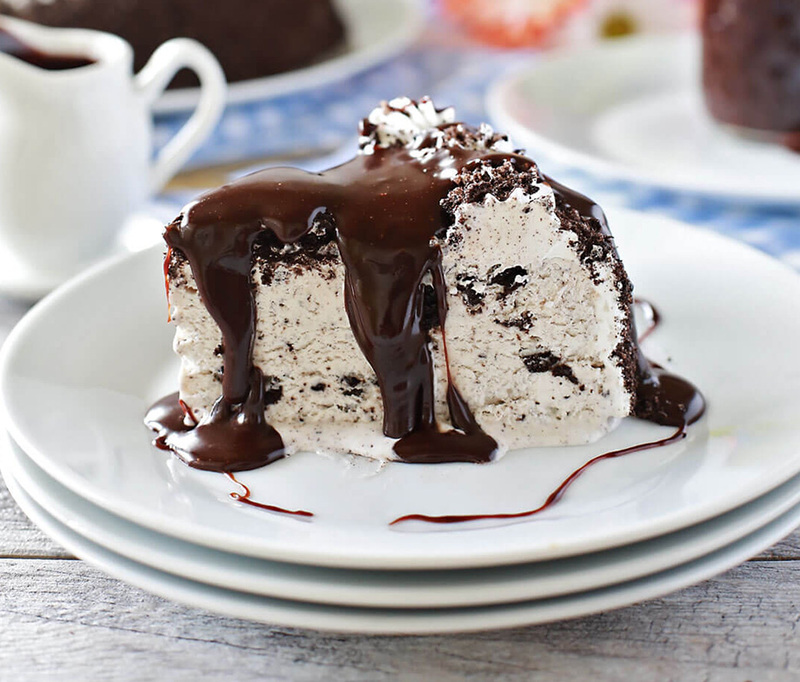 OREO® Ice Cream Freak Cake – Cousin to the famous “freak shake”, this freak cake is one of the most indulgent and decadent desserts. Though massively impressive and tall, this showstopper only needs 15 minutes to get dressed up. Berry-Topped Lil’ Love – Good things come in small (and pretty) packages. Top our Carvel® Lil’ Love Ice Cream Cake with whipped cream and berries for a lovely slice. Fruit Basket Ice Cream Cake – Step 1: top a Jon Donaire® Strawberries & Cream cake with fresh fruit. Step 2: serve, sit back, and smile – you’re done! Summer Party Play Date – For a simple cake break, plan a play date with an ice cream cake party. Kids love the crunchie-filled, colorful Carvel ice cream cakes!